John McCain has chosen Sarah Pallin as his choice for Vice President. Sarah Pallin has a 5 month old son, Trig, who happens to have have Down syndrome. For this reason, the words Down syndrome have been said quite frequently lately. However, they have not always been used corretly. Although I was extremely happy to see baby Trig's picture on the front of US Weekly, I cringed at the caption "Pallin and newborn Trig afflicted with Down syndrome"
Down vs. Down’s. NDSS and NDSC use the preferred spelling, Down syndrome, rather than Down’s syndrome. 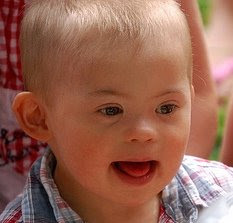 While Down syndrome is listed in many dictionaries with both popular spellings (with or without an apostrophe s), the preferred usage in the United States is Down syndrome. This is because an “apostrophe s” connotes ownership or possession. Down syndrome is named for the English physician John Langdon Down, who characterized the condition, but did not have it. The AP Stylebook recommends using “Down syndrome” as well. Sat. night Dave & I went to a friend's wedding while Grandpa and Grandma Candi were at our house having a great time playing with the boys. We got home about 10pm and both boys were sound asleep. I proceeded to bed only to wake up a couple hours later. Dave was trying to comfort Cameron as he was crying and wheezing and having a hard time breathing. I had a few drinks at the wedding and I just woke up from a sound sleep. I panicked and called 9-1-1. The firemen got there and they immediately knew it was croup. So we went into the bathroom and turned on the shower (the steam helps clear the airway). He had just calmed down fallen back to sleep when the fireman came in and asked how he was doing which woke him up and got him upset again. They suggested I take him to the hospital. However since I had a few drinks earlier I didn't feel comfortable driving so they called an ambulance and off to Children's Hospital we went. Other than his barky cough, he was himself playing in the room, charming the nurses, and being way to active for 1:00 in the morning! We did get to see our friend Sue (she's a 3rd shift x-ray tech) and she brought Cameron a stuffed doggy which he immediately threw across the floor. They (eventually) gave him some steroids and sent us on our way. As a mother you ALWAYS have to be prepared for anything. Lesson learned. Although I know he is doing great, it always makes me a little nervous to actually hear "at what age he is functioning". Cameron is 25 months old. Cognitively he is between 18-20 months. PT (physical therapy) he is between 18-20 months (some areas are higher). OT (occupational therapy) he is between 16-18 months. Speech he is about 12-14 months. I can't tell you how happy I am! Yes, his speech is very delayed but he does do sign language and is learning new signs daily. I am the one having a hard time keeping up. We reviewed the goals we had set for him last time and he achieved most of them. Some included blowing bubbles, drinking from a straw, walking up stairs, less mouthing of objects, and others. He has achieved all of them. We have now added new goals for the next few months. Way to go little man, you are amazing! Cameron had therapy with his teacher and again, did great. She held up two action cards (one Barney is running and one Barney is brushing his teeth) and asked him to pick the one where Barney is brushing his teeth. I personally thought this was a little hard because they were small cards and they were cartoons, not real pictures. BUT, again, I underestimated him. He took his time looking at each one and got all but one! She did the item/picture matching where she had him place the item on the pictures. He did even better this time. After he tried to eat the pretend food (of course, the cookie was his favorite), he matched them with the pictures and placed them on top. He also did pretty good when asked to sort the colored pegs. We have been working at home with colors. I am so proud of you Cameron, keep up the good work! What ever happened to the simple life? Doing what you want, when you want. No worries. No schedule. No real plans. Sometimes I wonder if I am making my life more complicated than it needs to be. I feel like I am constantly going, going, going. Monday night - Dr. Appt., Tuesday night - Meeting, Wednesday night - music class and a friend's house, Thursday night - Therapy. Friday night - nothing! Hmmmm, whatever will we do? I am taking the time this morning to let you know about a movie that is being released today. Tropic Thunder with stars such as Ben Stiller, Jack Black, Robert Downey Jr and Tom Cruise will be coming to a theater near us soon and you can be certain with this cast line up and the heavy marketing, your children will want to see it. What caught my heart was the slogan that Dream Works has chosen to promote this movie. “Once upon a time….There was a Retard” and Ben Stiller is playing an individual with intellectual disabilities. Cameron has a medical diagnosis of mental retardation because of Down syndrome. Even typing that brings this mother to her knees and I can’t even believe that our children are still being used as the whipping post for actors and writers to get a laugh. I can’t fight it all the time and mostly I just shrug and move along and turn my back on those who can’t see the sunshine that is right in front of their dark minds. So this plea is for my little boy. The small one who can’t fight it. The small one who fights a war every single day to prove his worth. The bundle of sunshine who will hug you and love you in spite of the ugliness that at times like this surrounds him. I beg you to not see this movie. I beg you to voice your thoughts. I beg you to think of Little Cameron and the millions like him. Dramatic much? Maybe. But what if they used the N word? Surely that wouldn't fly. What if they were attacking gay people? You can bet that wouldn't be aired. Yet people all over the country are going to see this movie... and they're going to laugh... at my son and people like him. They're going to buy T-shirts that mock my child... and THOUSANDS of others who carry the diagnosis of mentally retarded. Still think I'm over-reacting? Here is a scene from the movie. Stiller: There were times when I was doing Jack when I actually felt retarded. Like really retarded. Stiller: In a weird way, I had to sort of just free myself up to believe that it was okay to be stupid or dumb. Downey: To be a moron. Stiller: Yeah. When I was playing a character. Downey: When you was a character. Stiller: Yeah, I mean, as Jack. Definitely. Downey: It’s like working with mercury. It’s how science makes art form. Stiller: It’s what we do, right? Downey: Everybody knows you never do a full retard. Stiller: What do you mean? Downey: Check it out. Dustin Hoffman, Rainman, look retarded, act retarded, not retarded. Count toothpicks to your cards. Autistic. Sure. Not retarded. You know Tom Hanks, Forrest Gump. Slow, yes. Retarded, maybe. Braces on his legs. But he charmed the pants off Nixon and he won a ping-pong competition? That ain’t retarded. You went full retard, man. Never go full retard. How about now? Can you look at Cameron's sweet little face, after he's fought so hard in his life, and still go see that movie? Am I throwing you a guilt trip? Yes. I am. 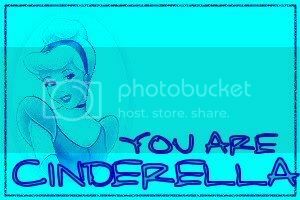 Because until the day I die I will fight for MY child and I will do my part to defend him against people like Dreamworks who wants everyone in the country to torture her with lines from this movie... because THEY want people to laugh. One day, Cameron will understand what all of this means. He WILL know when people are mocking him. He WILL hurt and his heart WILL break... just like yours and mine. But until he is old enough to figure it out and speak for himself, I will be here to be his voice. Still think I'm over-reacting? OK. Fine. But add me to the list with: Kennedy's mom, Kallie's mom, Jacob's dad, MaryEllen's mom, Nash's mom, Darah's mom, Sophie's mom, Dominic's mom, Aiden's mom, Cheyenne and Mercedes' mom, Zoey's mom, Emma, Brianna and Micah's mom, Larkin's mom, Vinnie's mom, Lacey's mom, Mikey's dad, Ciarra's mom, Megan's mom, and her dad, too, Ethan's mom, Caden's mom, Aiden's mom, Ashlie's mom, Payton and Addison's mom, Tarenne's mom, Avery's mom, Lucas' mom, Charlie's mom, Angela's mom, Emma's dad, Kaia's mom, Tristan's mom, Delphine's mom, Joey's mom, Brant's mom, Ruby's mom, Nathan's mom, Paul's mom, Curtis' mom, John's mom, Parker's mom, Matty's mom, Kayla's mom, Ella Grace's mom, Gabi's mom, Gabby, Giovanna and Isabella's mom, Sierra's mom and Meghan, Kara and Amanda's mom. We can't ALL be over dramatic... can we?! PLEASE don't go see this movie. Let Dreamworks know this is wrong. There will be a lot of other choices out there for mindless entertainment. Take a stand for Cameron and all his friends and say NO to Tropic Thunder. I am asking that you join me in banning the "R-word". Why? The speech - Click here. The video - Click here. The interviews - Click here and here. The protest - Click here. The petition - Click here. I was sooo excited to hear this word from his mouth. I'm sure he learned it from Cameron, just one of the many things he will teach him. It is now the most spoken word in our house - yay! It's so nice to feel wanted and needed (constantly). Cameron is drinking from a straw! This may not seem to be a big deal to most people but it is to me. We've been working on this for awhile (not diligently) BUT it is one more thing we can cross of his list of goals. A new film, `Tropic Thunder' is set to release on August 13th. This film is a big-budget, R-rated comedy by DreamWorks/Paramount that includes prominent use of the word "retard" in marketing materials and on screen. A coalition of disability rights groups (including NDSS) will be meeting Wednesday with studio executives from DreamWorks to express concern. More information will follow. Pat Bauer of PatriciaEBauer.com is asking that people go to her website and send in comments about the upcoming movie. Central to the debate is the character of Simple Jack, played by Ben Stiller's character, an actor, in the movie. Studio marketing materials describe Simple Jack as "a retard." Studio executives have said the film is intended to spoof Hollywood, not people with disabilities. All comments will be forwarded to executives at DreamWorks/Paramount. DreamWorks has put the kibosh on simplejackmovie.com -- a website aimed at promoting the studio's upcoming comedy "Tropic Thunder" -- in response to criticism from disability rights advocates. The elaborate site was created by the marketing department of Paramount Pictures, which releases all of DreamWorks' films, as an homage to a character played by Ben Stiller's Oscar-chasing actor character. In the film, which opens Aug. 13, Stiller plays a thesp best known for his performance in a fictitious drama titled "Simple Jack" -- a satirical jab at Hollywood actors' proclivity for taking on mentally challenged characters. The site, which was aimed at teenage boys and garnered fewer than 35,000 hits, featured a poster with Stiller and the tagline "Once upon a time ... there was a retard." Los Angeles first contacted the studio Friday and set up a meeting with DreamWorks CEO Stacey Snider and other senior executives to discuss their concerns about the film. That meeting is scheduled to take place this afternoon . "We heard their concerns, and we understand that taken out of context, the site appeared to be insensitive to people with disabilities," DreamWorks spokesman Chip Sullivan said.